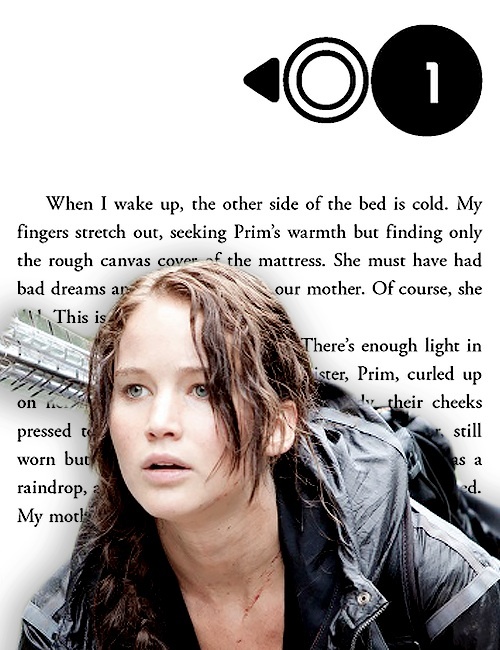 Katniss Everdeen | The Hunger Games - Chapter One. . Wallpaper and background images in the 凯特尼斯·伊夫狄恩 club tagged: photo. This 凯特尼斯·伊夫狄恩 fan art might contain 肖像, 爆头, 特写镜头, 特写, and 爆头特写. Katniss in this photo appears upset, to the fullest representation of his humanity: wide eyes, cuts and scars visible on his left cheek and neck, sweaty strands that fall haphazardly on the front, l 'terrified expression but careful, the body slightly tilted ready to shoot. His greatest sacrifice turned out to be his worst nightmare, but the memory of motive that 'brought in' arena several times' has kept alive until the showdown.